On Friday, Sept. 14, crews located and shot a female cougar that had earlier visited the location of Diana Bober's attack, according to a press release from ODFW. "We don't know if this is the cougar responsible, but we do know that this cougar was at the attack site today," said Brian Wolfer, the ODFW watershed manager leading the capture effort. "We are doing all we can to confirm as quickly as possible whether this is the animal responsible." The cougar's carcass is now being transported by Oregon State Police to the U.S. Fish and Wildlife Service Forensics Laboratory in Ashland. The laboratory will analyze evidence received earlier from the scene where Bober was killed. The goal is to determine whether or not the cougar killed is the cougar that killed Bober. They expected results to take at least three days. Until ODFW receives confirmation that the cougar killed is the right one, staff from ODFW and other involved agencies will remain in the Zigzag area and continue to search for cougars. 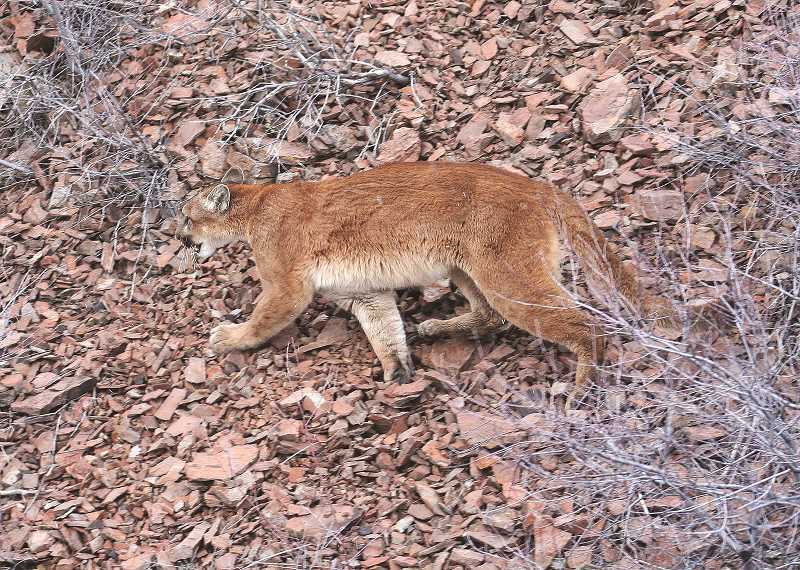 If another cougar is encountered, it may be killed and also tested for evidence. The continued effort is intended to increase the probability that the offending cougar has been caught. ODFW staff has closed the Hunchback Trail while they work with other agencies, including the Clackamas County Sheriff's Office, Oregon State Police-Fish and Wildlife Division and the U.S. Forest Service, to track down and kill the cougar responsible for Bober's death. While crews continue to search, ODFW may close other trails in the area to keep it from crowding with hikers.